"After the Storm,” a sublimely simple family drama from the Japanese writer-director Hirokazu Kore-eda, unfolds amid the sweltering heat of an unusually active Pacific typhoon season. In preparation for the 23rd rainstorm of the year, a recently widowed woman named Yoshiko (Kirin Kiki) asks her middle-aged son, Ryota (Hiroshi Abe), to move a tangerine plant on her balcony — which he does, breaking a window in the process. It’s an accident that, like much of what we see and hear on-screen, feels inevitable in retrospect. Both Ryota and the plant are tall, clumsy and, as Yoshiko chides him with characteristic bluntness, stubbornly slow to bear fruit. But they both have important roles to play as well, as this patient and generous film will reveal in due course. Kore-eda, whose moving domestic dramas have been increasingly influenced by the great Japanese filmmaker Mikio Naruse, has a particularly deft and disarming way with metaphor. His characters here often speak of everyday objects — a late-blooming plant, a hot pot of stew, a scrap of handwriting — with an ease that, far from seeming lyrical or precious, instead feels like the plainest expression of what they mean. “After the Storm” has the same matter-of-factness and the same temperamental aversion to overreach. 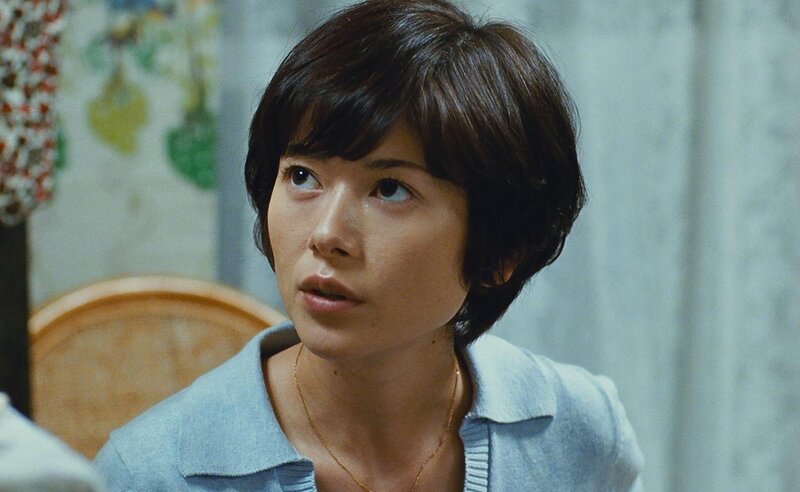 Like the director’s earlier “Still Walking” (2009), in which Kiki and Abe also played a mother and son, the movie gently exposes a family’s past troubles and lingering regrets in a placid, present-tense register, finding pockets of revelation in a deceptively uneventful narrative. At the center of the story is Ryota, a genial screw-up whose once-promising writing career has foundered since the publication of his first novel 15 years earlier. He now works as a private detective, spying on cheating spouses and using the photographic evidence as blackmail — a sleazy racket that he claims is merely research for his next book. In reality, Ryota squanders what little he earns at the racetrack, to the barely concealed frustration of his ex-wife, Kyoko (Yoko Maki), who is raising their young son, Shingo (Taiyo Yoshizawa, soulfully confirming Kore-eda as one of the world’s finest directors of children). Turning on his raffish charm, Ryota tries to get back into Kyoko’s good graces and spend quality time with Shingo. He also visits Yoshiko, who ruefully observes that her husband was, in some ways, as inconsiderate and unsatisfying a spouse as Ryota was to Kyoko. 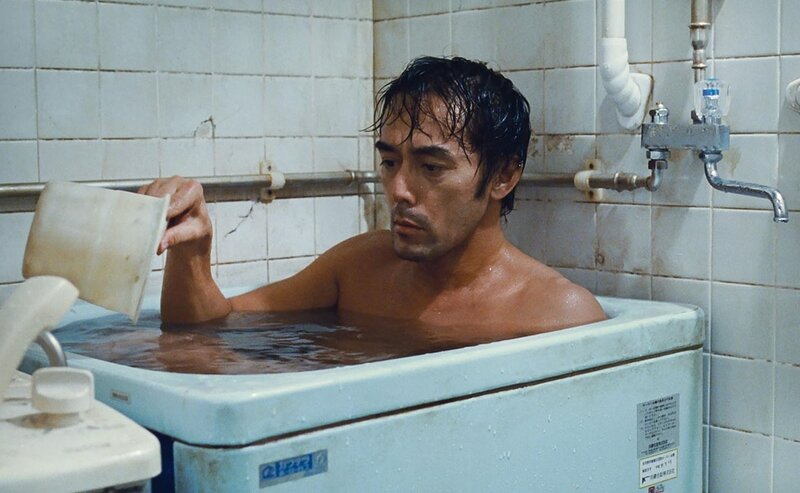 Parental sins and fractured family bonds are nothing new in Kore-eda’s oeuvre. Two of his best-known films — “Nobody Knows” (2004), a harrowing true-story portrait of childhood abandonment, and “Like Father, Like Son” (2013), a wrenching tale of two boys switched at birth — brilliantly exploit the tension between the extremity of their circumstances and the placid, almost perverse restraint of the director’s methods. The lack of a similarly melodramatic hook — even the climactic typhoon of the title more or less behaves itself — may make “After the Storm” seem like a minor effort, when in fact it is the work of a filmmaker assured enough to hide his mastery in plain sight. Nothing is overemphasized, and nothing escapes his attention. Kore-eda, serving as his own editor, sets his scenes to the gentle, unforced rhythm of everyday life (and also to the refrain of a dolorous but amusing score by singer-songwriter Hanaregumi). His characters are so sharply drawn and inhabited, their relationships delineated in such fine-grained detail, that their moments of mundane togetherness — sharing a meal, playing a game, taking shelter from the rain — reveal more about who they are than the most seismic dramatic shifts could. Ryota is a charming slacker with his untidy hair and rascally, what-me-worry smile, but it’s Abe’s hulking 6-foot-2 frame — he towers over his costars — that makes the character seem like a literally overgrown child, something Kore-eda uses to subtly brilliant effect. For most of “After the Storm,” Ryota simply doesn’t fit in anywhere — not in his mother’s apartment, not in the bathtub, not in the lives of his ex-wife and son. Kore-eda is too scrupulous a filmmaker to prescribe Ryota an easy redemptive arc or happy ending. Nonetheless, the lingering optimism that suffuses “After the Storm’s” closing scenes is honestly achieved; nothing on the surface has changed, but on a deeper level something has. The final shot is of Ryota walking away from the camera — still as tall as ever but now free, at ease and with a clear reason to keep going.